Security and Safety in Automotive, Connected Vehicles, Reputation, DoS Attack. vulnerable to security attacks that may impact on the safety of passengers, pedestrians, and vehicle itself. prevent the communication and spread of important information for, e.g., human life. tailed list of threats that can be exploited by attackers. to car manufacturers to overcome the found threats. future connected vehicles be safe and more efﬁcient. able access to the information by authorized people. alerts, and so on, among circulating vehicles. Costantino, G., Martinelli, F. and Matteucci, I.
Exploiting Vehicles’ Reputation to Mitigate DoS Attack. nected with other vehicles or with the infrastructure. the presence or identity of the others. hicles to notify them about their current behaviours. way for isolating the attacker. proposes some possible for future work. iv) Higher mobility, and v) Privacy requirements. technologies are Cellular, Satellite, and WiMAX. entity of the Intelligent Transportation Systems (ITS). strong impact on performance of WiMAX. independent from the used physical technology. sume the presence of a trafﬁc jam some miles ahead. of information on time increases the safety of drivers. Black hole attack (Deng et al., 2002). culated and distributed uniformly over the network. vehicle that is travelling in the considered roadway. Figure 1: A graphical representation of the reference scenario. erated the message by observing the packet structure. forwarded by B but not generated. Table 1: Example of Vehicles Local Observation Table. Figure 3: Sending VLOs to the central server. ﬁxed only after performing accurate simulations. Table 2: Example of Vehicles Global Observation Table. value for the number of messages generated by j.
aggregation of the previous two values. Figure 4: Isolation strategy against DoS attack. messages that may ﬂood the V2V communications. haviour of B because they checked the VGO table. to isolate the “spammer vehicle”. message that should not be dropped by its neighbours. adopted as countermeasures to identiﬁed threats. guarantee the authenticity of communication partners. further improved after performing simulations. cerns security issues peculiar of WiFi connection. ability of the VANET and its services for drivers. 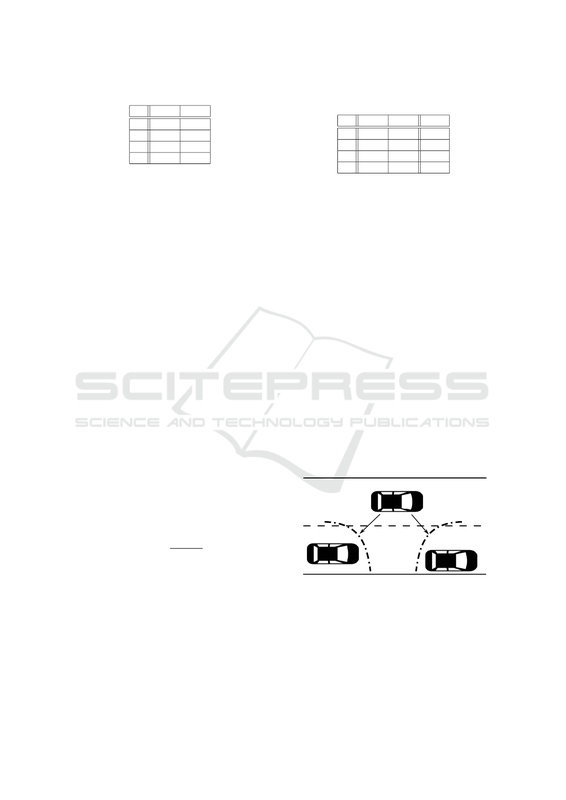 wall by isolating the possible malicious vehicle. nication among all the other nodes in the VANET. vehicle communications for safety communication. prove the trafﬁc on a road and to reduce trafﬁc jam. 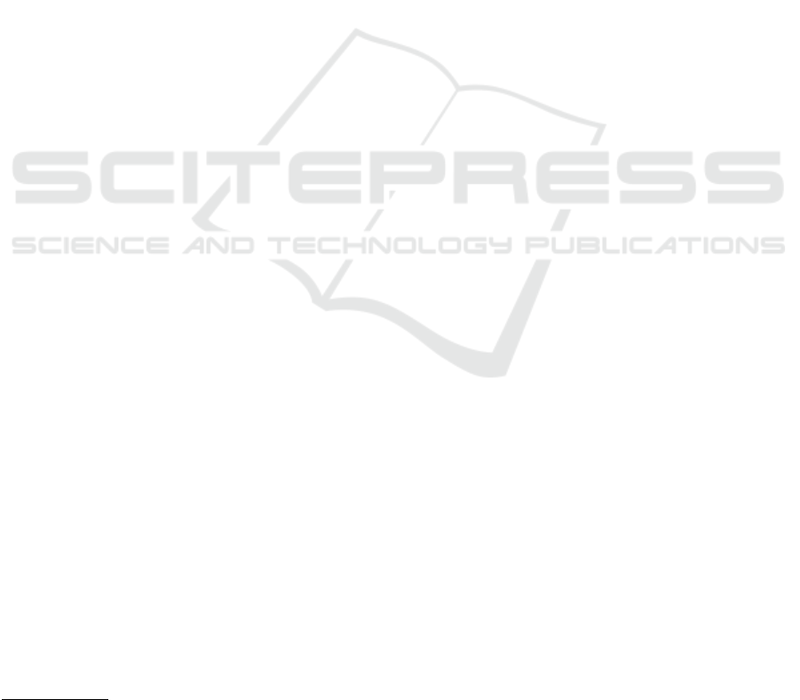 in Communications, IEEE Journal on, 29(3):605–615. Conference on, pages 397–398. IEEE. IET, The Institution of Engineering and Technology (2014). R., Papadimitratos, P., Raya, M., and Schoch, E.
cations enabled by dsrc. 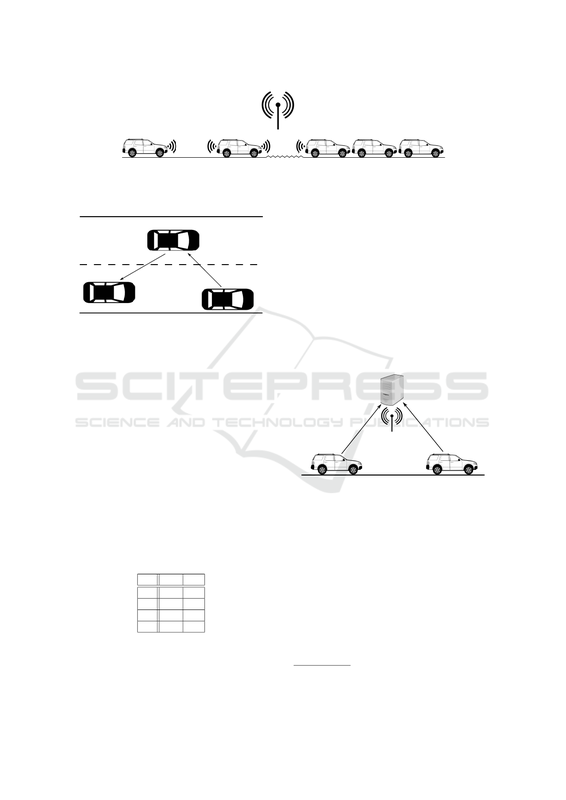 DOT HS S09 S, 59.
sign, Automation and Test in Europe, pages 458–463. Stakhanova, N., Ferrero, S., Wong, J. S., and Cai, Y. (2004). tel, San Francisco, California, USA, pages 510–515. 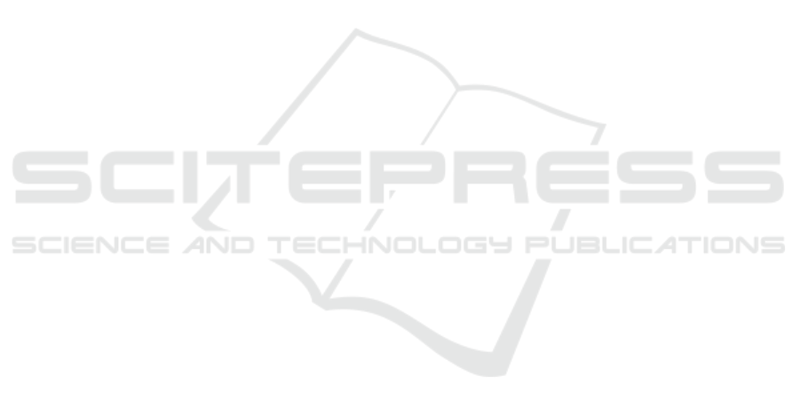 IEEE/IFIP Conference on, pages 1–12. IEEE. Wiedersheim, B., Sall, M., and Reinhard, G. (2009).